Guess what's inside this lovely package? Don't it reminds you of Korean packages that contains food or clothes? Could it be... kimchi? Or hot paste? 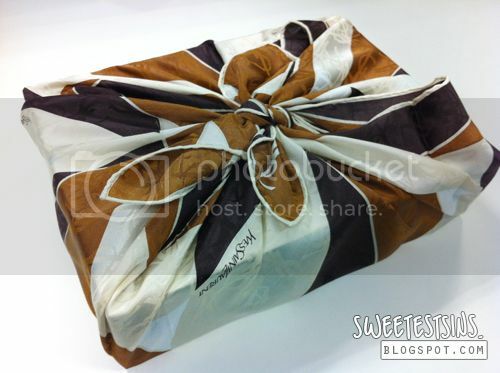 Read on to find out what's inside this Korean-looking package! Ta-dah! 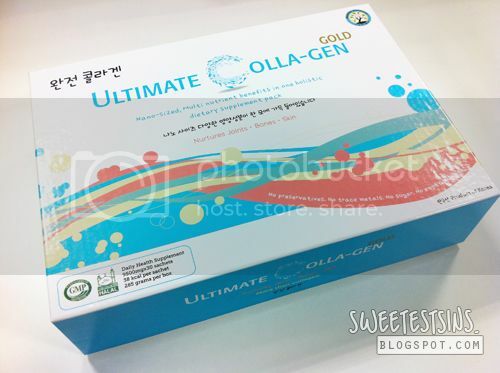 Its Ultimate Collagen Gold! The key active ingredient in Ultimate Collagen Gold is none other than - Nano-molecular Collagen which is 50% smaller in size than normal Collagen found in products available in the market. 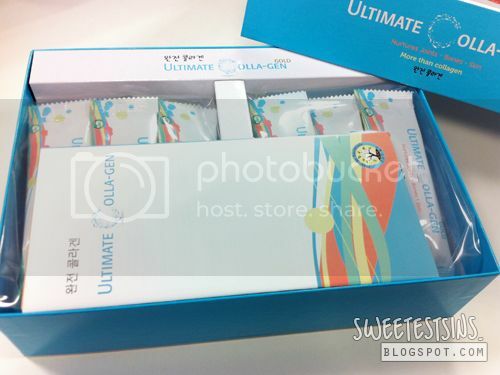 At only 38kcal per sachet, each sachet of Ultimate Colla-gen combines the synergistic benefits of Nano Collagen and other multi nutrients like Acai berry extract, Chrondritin, Hyaluronic acid, Glucosamine, Methyl Sulfonyl Methane (MSM), Probiotics, Real Blueberry extract, Silica and Vitamin C in optimum mixtures of 7 multi nutrients in one sachet per formulation. A lot of my Malay friends or colleagues would be startled whenever I ask them if they take collagen because the first thing that comes to their mind is that it contains pork derivatives. 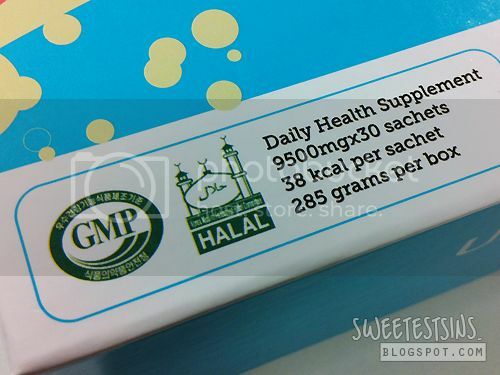 But fret not because Ultimate Collagen Gold is halal-certified! Ultimate Colla-gen uses real blue berry extract instead of fish or pig derived collagen. For consumption, mix one sachet of Ultimate Colla-gen into a 200ml glass of water or juice, stir well and drink. 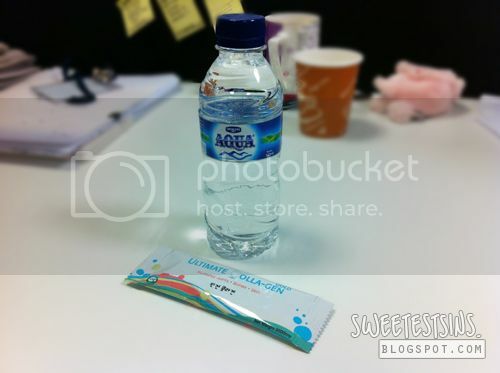 I usually pour in a satchet of ultimate collagen into a 330ml bottle the first thing in the morning when I reach my workplace, so that I will remember to drink water as well as take the collagen drink before I get too carried away with work and forget about it totally. 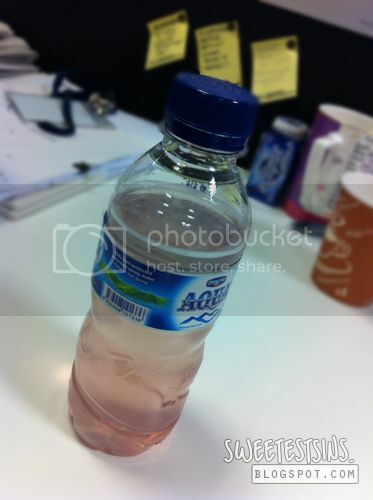 Taste wise, obviously ain't as good as milk tea or cola, but trust me, it's one of the better tasting collagen drink out there. For those whom are not used to taking collagen, it usually takes a while to get used to the taste of it. Ultimate Colla-gen Plus can be purchased from Nishino Pharmacy outlets, Pharmex Healthcare outlets from May 2012 onwards, and Robinsons Centrepoint from June 2012 onwards, at $88 per box of 30 sachets (one month’s consumption).